This species, whose native range is in eastern North Carolina, is critically endangered. 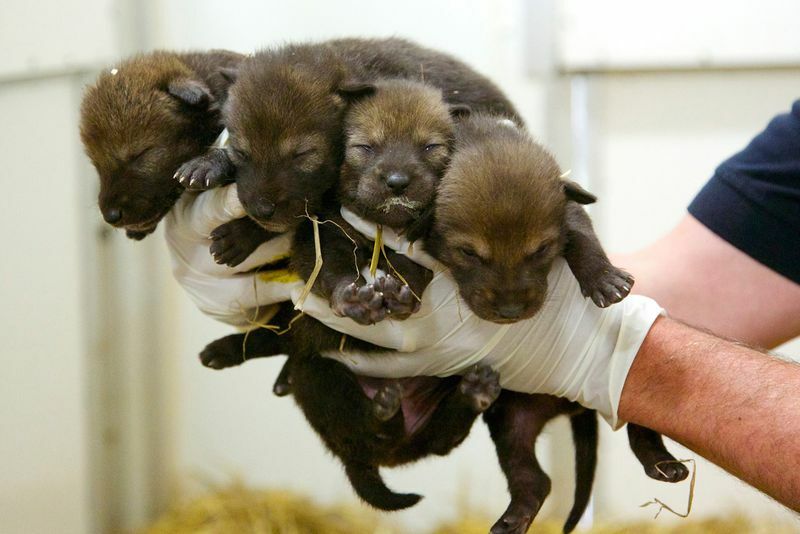 Needless to say the birth of FOUR healthy pups to parents at the Beardsley Zoo is a boon to say the least. Two male and two female pups are being carefully cared for by mother, Salty, and father, Moose. Both are first time parents and have only shown perfect attentiveness to their litter. In the wild, males and females tend to mate for life and run in small packs with social organization surrounding the alpha male and his mate. Approximately 200 wild Red Wolves remain. 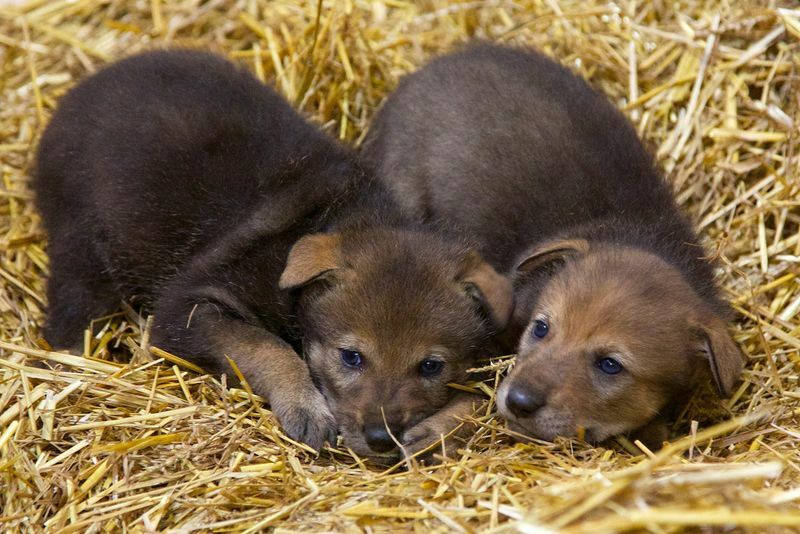 Eventually, the zoo hopes to reintroduce some of the pups – once grown – into the wild population with the goal of increasing numbers and genetic diversity.